The dam holding the Lower Lliw reservoir was completed in 1867. However it was never completely watertight, a situation that was corrected in 1979 when it was rebuilt – 112 years after first being constructed. The reservoir originally supplied water to Swansea, but these days after being treated at the nearby Felindre Water Works, water is pumped all over South Wales. Coal mining was once active in the area and the walk passes one of the buildings of the Felindre Colliery, disused for over a hundred years. 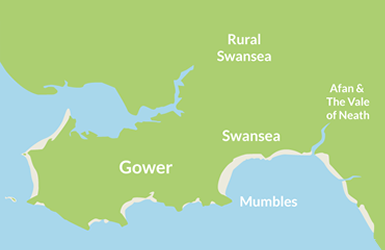 The above information is an extract from: Walking for Health, produced by the City & County of Swansea. Suitable for: All – but children should be supervised at all times. Terrain: The walk involves uneven ground: hard, firm and smooth surfaces. Also a narrow footpath with a steep drop. Start: Car park at Lower Lliw Reservoir, which is accessed from the road between Felindre and Rhyd-y-Pandy, three miles north from M4 Junction 46. Finish: Car park at Lower Lliw Reservoir, which is accessed from the road between Felindre and Rhyd y Pandy, three miles north from M4 Junction 46. 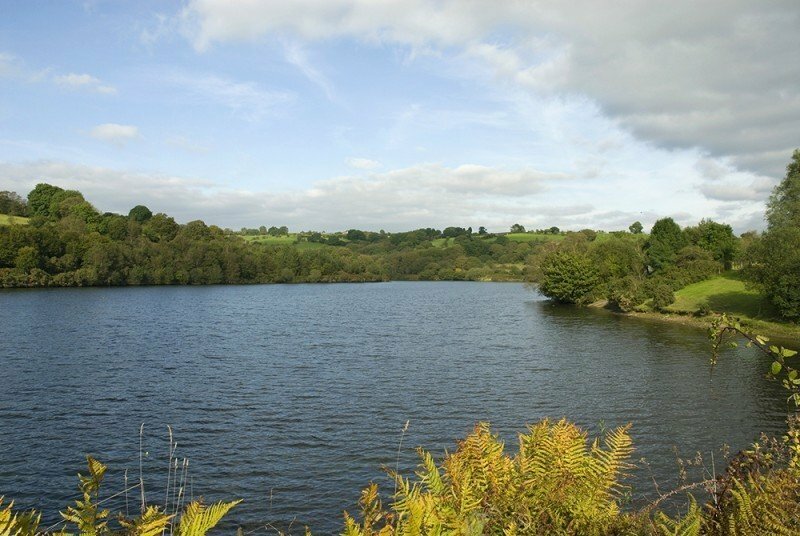 This is a relatively easy walk around the picturesque Lower Lliw Reservoir, taking in some lovely countryside views of the Lliw Valley. Car parking: Available at Lliw Reservoir car park. Refreshments and public toilets: Available at start of walk. Be prepared: Wear suitable footwear. Safety Information: Watch out for the flight of steps. If this walk sounds good to you, why not download this great little walking route guide. It’s been put together by the City & County of Swansea Countryside Access team, and will help you get off on the right foot.